- Not The Other Way Round! There’s an old saying in the industry. If you ask six engineers to design a pharmaceutical water system, you’ll end up (probably after a heated debate) with seven different answers! Sadly, but perhaps not unexpectedly, this is actually not far from the truth, - but why? Well, first of all, there’s very little guidance in terms of how to build a water system exactly matching a particular application – in other words, how do you make the water system best fit all the users criteria? The simple answer is that usually you can’t, but the designer has to use all their skills and experience to set out the most appropriate scheme, i.e. the one with the ‘best fit’. Only one of the seven answers will be the ‘best fit’, and you want to make sure that’s the one you choose for your water system. Matching the right water system to the production usage requirements and expectations seems to be a common area of difficulty. Often, pharmaceutical users don’t know what they actually want, and are too ready and willing to accept a system employing a basic, and limited ‘off the shelf’ design without fully appreciating their own responsibilities as future owners to specify and convey their exact requirements to the suppliers. Not too difficult to see then, why many pharmaceutical companies struggle with water systems that compromise their operation and efficiency. Equally, not many water systems are ‘future-proof’ and even modest changes and upgrades to facilities can soon compromise the fairly rigid design and operation of a water system. Another major reason why water systems are often troublesome, stems from the fact that there is actually very little science involved in the water system design process itself– rather, it is an iterative process involving accumulated anecdotal evidence of what worked in the past, together with a smattering of lessons learned from mistakes made on earlier systems being applied to the current scenario, perhaps involving discussions with others as well. Things depend a lot therefore, on the experience and background of the engineers involved in this subject. An inexperienced engineer, however well qualified, is unlikely to design a ‘best fit’ pharmaceutical water system. The ISPE Baseline® guide attempts to capture much of the historical experience gained in this area, and sets out some very useful guidelines to help steer inexperienced designers towards a more successful outcome. But it is not, and cannot be, a definitive specification, applicable to every situation. All competent engineers know about piping distribution design in terms of hydraulics, pipe flows and pressures etc, but the problems lie apparently when baseline, engineering principles are applied on a holistic basis, to a diverse range of user specific circumstances which are unique to each and every system. The purpose of the water storage and distribution system is to ensure water generated is available at the right quality, at the right flow-rate, when and where the production users needs it. Most of us are aware, basically, of how to purify water, and there are a plethora of companies offering tried and tested ranges of water purification equipment. However, it is how these marry with the storage and distribution system and interpret/incorporate the needs of the users which is often the most difficult part of a holistic design, covering ‘raw water’ to ‘point of use’. Yet in many ways this ‘raw water’ to ‘point of use’ overview is the most crucial and vital consideration of the design process - in the same way as a jigsaw would be very difficult to complete without the picture being on the lid of the box! The number of applications where a simple loop, with a small number of low volume off-takes is required is actually, quite low. Anything other than that, i.e. the majority of systems, requires much more careful design consideration, and evaluation of alternative piping arrangements and options to reach the best delivery solution. Fundamental issues that need to be addressed at an early stage include considerations of flow balancing (pressure vs flow management), diversity, use of variable speed pumps, single-loop vs multiple-loop vs sub-loop configurations, order of offtakes, optimum operating temperatures, preferred sanitisation methods etc, etc. Interpreting the subtle requirements of ‘hygienic piping’, the requirements of today’s (and often tomorrow’s) regulatory compliance, and the specific user requirements increases the consideration significantly, because, amongst other things, these issues take engineers into their less comfortable areas of QA/QC, regulatory compliance, chemistry/microbiology, monitoring, testing and the dreaded ‘Validation’. Pharmaceutical water is therefore a subject which is truly multi-disciplinary. So there’s very little written about the exact water system specification that might be needed on a system-by-system basis, and the data necessary to find the solution often comes from a host of different sources usually within the pharmaceutical company itself. Typically, pharmaceutical companies are organised into ‘departments’, who sometimes don’t understand or appreciate each others requirements, and commonly don’t communicate with each other very well either! But people from all of these departments must be interactively involved, and have a key role to play in the design, construction, operation, maintenance, management and control of a water system. It is truly a multi-departmental subject in that sense – so my advice is to get involved early if you want the system to work for you (not the other way round)! The designer’s first and most fundamental job has therefore got to be to use their experience to guide and advise the pharmaceutical users, and ask lots of relevant and pertinent questions about their application and requirement for the water system. The output from this enquiry must be a comprehensive ‘User Requirement Specification’ (URS). The better and more thorough this is, the better and more useful the water system will be to the pharmaceutical company, URS development time is time well spent, and in my experience, the more questions asked and answered at this stage, the better. To enable this to happen effectively, the designers involved must have sufficient experience and expertise to be able to identify and obtain the relevant URS data, and then have the skills and experience necessary to translate this into the most effective and efficient system meeting the needs of the user. If you are a pharmaceutical user looking for a new water system, beware the salesperson who offers a ‘catalogue’, ‘off-the-shelf’ water system, or particularly one who doesn’t inspire confidence by asking the right questions about usage, application or processes served by the water. A ‘ditto system’ as may be described in the US, might work in the sense that water quality might be good, and taps, if opened one or two at a time, can deliver sufficient water to the users – but is that enough or acceptable? No, not in today’s dynamic and demanding operational environment. In my experience, most pharmaceutical users want to be able to fill up manufacturing vessels, wash out equipment, batch up a product, operate a CIP system, open taps at wash sinks etc, etc simultaneously, using enough water to complete the task without interruption. 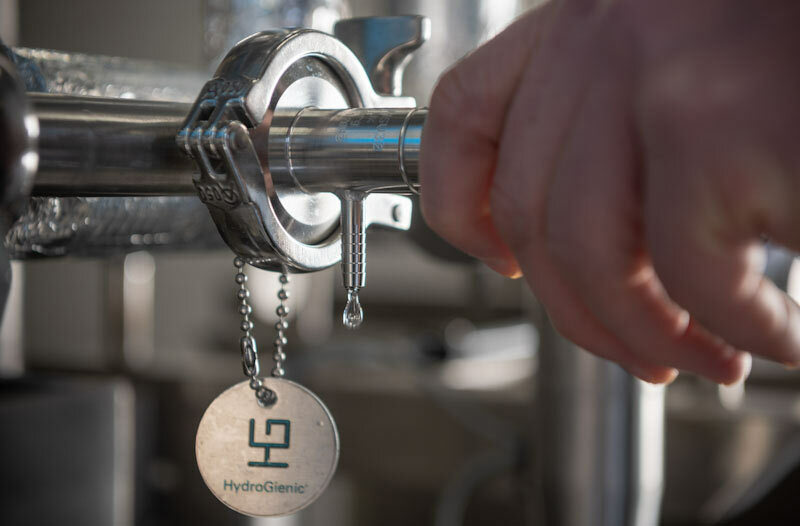 They want to do this using their off-take taps in any permutation, and to get water of the right quality consistently on demand as and when they require it. During the 39 years I have spent reviewing and auditing water systems, many systems I have seen cause delay and/or some disruption to production processes to a greater or lesser extent. Some have been so poor that I have witnessed facilities where no other taps can be opened whilst one tap is drawing water. In one case, this was happening whilst a 20m³ manufacturing vessel was being filled each day, so no one else in the facility could use any water for about 2 hours per day whilst this was happening! So, one step in the process of getting the water system to work for you is to set out a clear and comprehensive URS as was stated earlier. Armed with this detailed and accurate URS, the next step is to make sure the system designers are competent and experienced enough, have many system designs behind them, and give confidence that the ‘best fit’ system is being proposed. My experience when I was in the pharmaceutical industry was that the level of skills and expertise externally able to provide this task properly was in very short supply. 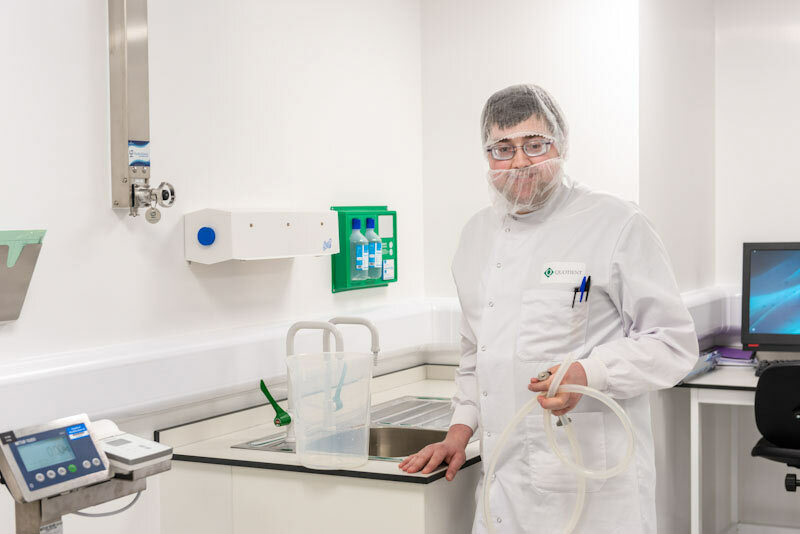 That is the main reason in fact, why I left the industry and set up the Honeyman Group – to offer that specific skill and knowledge base to assist pharmaceutical companies with their water system designs. I recognised that the Honeyman Group needed to contain a suitably skilled, experienced, and multi-disciplined team in order to deliver the necessary guidance and advice required. This, I am pleased to say, has allowed us to grow into one of today’s leading pharmaceutical water system design and consultancy firms. From those early days in 1990/91 it is evident that the understanding of pharmaceutical water systems, and the standards and expectations for these systems across the industry has developed considerably, and I’d like to think that we have made some contribution towards that. But there are still many designers out there who are offering solutions, which in my opinion are often quite wide of the mark, leaving sites whose operations and processes in some way being compromised by poor water system design. Regrettably, I still see evidence of this all the time, as I go around auditing systems on behalf of our international clients. Moving on from the conventional design scenarios I have just described, I believe we are entering an exciting phase in the development of pharmaceutical water systems, as our HydroGienic® piping system is increasingly adopted by Big Pharma. The system has major advantages over conventional designs for the pharmaceutical users. Fundamentally, HydroGienic® allows the pharmaceutical user to install a modular system, adaptable to growing/changing user environments, with confidence of quality and supply at off-takes as and when they are needed. In other words, the water system is there to serve the needs of the user (whose processes and operations might otherwise be compromised or limited by the water system) not the other way round. Set out a detailed URS. Use the best, most experienced technical designers with a proven track record. Hopefully, that will lead you to Honeyman who can deliver this conventionally – or, ultimately to HydroGienic®, which will definitely ensure that your water system is working for you (not the other way round). Author: Trevor Honeyman, CChem, CSci, MRSC. Honeyman has been involved with the design of hundreds of water systems around the world. Whether your requirements are for a new system, an upgrade of your current system or you would like to discuss issues in need of troubleshooting, please contact us. Our team of quality water experts will be glad to discuss your needs and provide a suitable and workable solution for you.